Our fully customizable Christmas tree skirt is the perfect family heirloom. 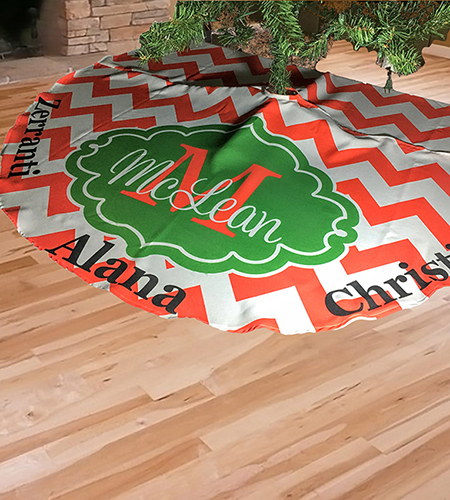 Decorate every inch of this tree skirt with names, designs, or even photos. Constructed of a durable and soft 100% polyester poplin material, your custom tree skirt can be laundered and machine-washed as the vibrant printed colors are permanent and made to last for years to come. The tree skirt measures 58 inches in diameter when finished with a 5 inch opening for the tree as well as a rear velcro closure.